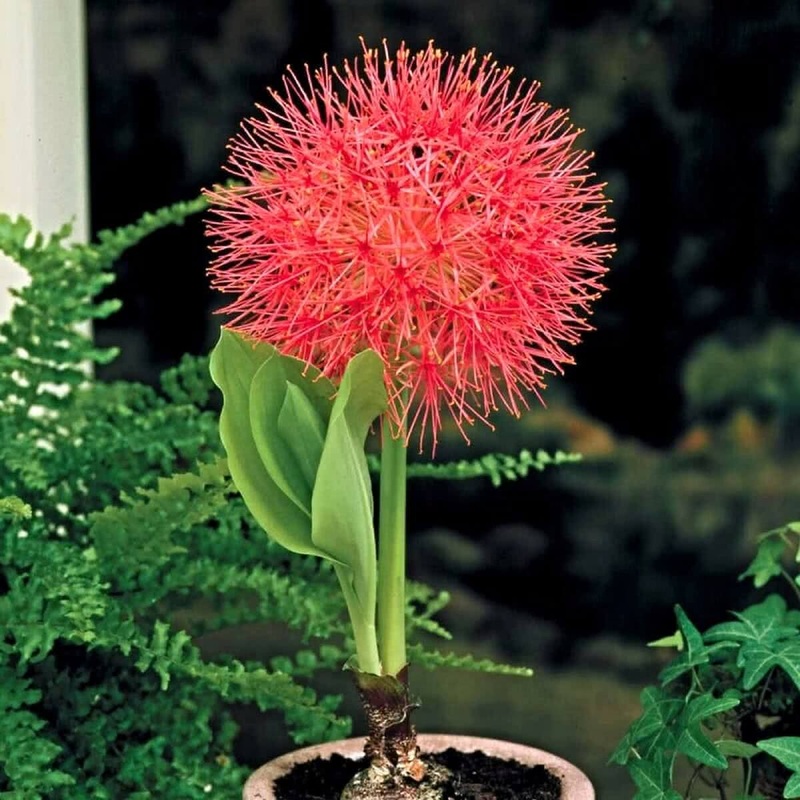 Also known as Powder Puff or Globe Lily, you can plant Football Lily Bulbs during February / March in pots with equal parts of sand, gravel and dried cow dung powder. The plant grows in two stages. In the first stage, it grows till November/December. The leaves die off in winter, and the bulbs remain dormant. The flowers bloom in the second stage, and fresh leaves appear after the flowering stage.